Karen Turner is a clinical psychologist and research academic. She is Deputy Director (Programs and Innovation) at the Parenting and Family Support Centre. Her research activity concerns the nature, causes, prevention and treatment of behavioural and emotional problems in children. She is a foundational co-author of the Triple P – Positive Parenting Program and has published 13 professional manuals, 20 parent workbooks and tip sheet series, and 14 DVD programs, which are currently being used in 27 countries, in 20 languages. She has also co-written television segments and four interactive online parenting programs. She has clinical and research experience relating to the prevention and treatment of a variety of childhood behavioural and emotional problems, including work with feeding disorders, pain syndromes and conduct problems. Her doctoral research focused on the development and evaluation of brief primary care interventions in the prevention of behaviour disorders in children, and the subsequent dissemination of these interventions to the professional community. She has also conducted series of research into: online delivery of parenting programs; the cultural tailoring of mainstream parenting programs for Indigenous families; and enhancing the training and post-training environment for Indigenous professionals. Her current work includes further resource development for primary care settings, early education settings, and an ongoing focus on making evidence-based parenting support programs more accessible for families in low-resource communities. Associate Professor Turner has over 27 years of experience in the development, evaluation and dissemination of behavioural family intervention and prevention programs. 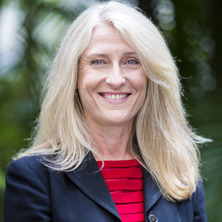 Her work has primarily revolved around the UQ flagship Triple P – Positive Parenting Program, which has been subjected to over 280 research trials by over 1170 researchers in over 350 institutions; is used by more than 77,000 trained and accredited practitioners from different disciplines; and has reached more than an estimated 7 million children. The key theme of her program development and research endeavours has been increasing access to evidence-based parenting and family support for all families, with the aim of reducing population prevalence rates of child behavioural and emotional problems, family conflict and adversity. The impact of this work is both instrumental (in shaping policy, professional practice and family outcomes) and capacity building (in building community, organisational, professional and individual skills), and is establishing enduring international connectivity. It has led to adoption of evidence-based parenting programs by most state governments in Australia, and from a county/province to a national level in other countries. Her work in the cultural tailoring of programs for Indigenous families has engendered interest from other First Nations and Indigenous populations (e.g. Canada, New Zealand) and refugee families in Australia. Turner, Karen M. T., Dittman, Cassandra , Rusby, Julie C. and Lee, Shawna (2018). Parenting support in an early childhood learning context. In Matthew R. Sanders and Trevor G. Mazzucchelli (Ed. ), The power of positive parenting: transforming the lives of children, parents, and communities using the Triple P system (pp. 1-1) Sydney, Australia: Oxford University Press. Markie-Dadds, Carol, Sanders, Matthew R. and Turner, Karen M. T. Every parent’s family workbook 2nd ed. Brisbane, QLD, Australia: Triple P International, 2011. Sanders, M.R. and Turner, K.M.T. Facilitator’s manual for Selected Triple P 3rd ed. Brisbane, QLD, Australia: Triple P International, 2011. Sanders, Matthew R. and Turner, Karen M. T. Facilitator’s manual for Triple P discussion groups. Brisbane QLD, Australia: Triple P International, 2011. Turner, Karen M. T. and Sanders, Matthew R. Presentation guide for Triple P discussion group series 1. Brisbane, QLD, Australia: Triple P International, 2011. Turner, Karen M. T. and Sanders, Matthew R. Triple P discussion group workbook: Dealing with disobedience. Brisbane, QLD, Australia: Triple P International, 2011. Turner, Karen M.T. and Sanders, Matthew R. Triple P discussion group workbook: Developing good bedtime routines 26 ed. Brisbane, QLD, Australia: Triple P International, 2011. Sanders, Matthew R. and Turner, Karen M. T. Triple P discussion group workbook: Hassle-free shopping with children. Brisbane, QLD, Australia: Triple P International, 2011. Sanders, M. R. and Turner, K. M. T. Triple P discussion group workbook: Managing fighting and aggression. Brisbane, QLD, Australia: Triple P International, 2011. Turner, Karen Mary Thomas, Sanders, Matthew R. and Markie-Dadds, Carol Consultation flip chart for Primary Care Triple P 2 ed. Brisbane, QLD, Australia: Triple P International Pty. Ltd., 2010. Markie-Dadds, Carol, Sanders, Matthew R. and Turner, Karen M. T. Every parent's self-help workbook 3rd ed. Brisbane, QLD, Australia: Triple P International, 2010. Turner. Karen Mary Thomas, Sanders, Matthew R. and Markie-Dadds, Carol Facilitator's kit for primary care triple P 3 ed. Brisbane, Australia: Triple P International, 2010. Markie-Dadds, Carol, Sanders, Matthew R. and Turner, Karen M. T. Every parent's group workbook 3rd ed. Brisbane, QLD, Australia: Triple P International, 2009. Turner, K. M. T., Sanders, M. R. and Markie-Dadds, C. Every parent's workbook for Indigenous Triple P. Brisbane, QLD, Australia: Triple P International Pty, Ltd., 2006. Sanders, M. R., Turner, K. M. T. and Markie-Dadds, C. The Preschooler Book. Queensland Australia: Triple P International, 2006. Turner, Karen Mary Thomas, Sanders, Matthew R. and Markie-Dadds, Carol Every parent's supplementary workbook module 1: Practice. Brisbane, QLD, Australia: Triple P International, 2005. Markie-Dadds, Carol, Sanders, Matthew R. and Turner, Karen Mary Thomas Every parent's supplementary workbook module 2: Coping skills. Brisbane, QLD, Australia: Triple P International, 2005. Sanders, Matthew R., Turner, Karen Mary Thomas and Markie-Dadds, Carol Every parent's supplementary workbook module 3: Partner support. Brisbane, QLD, Australia: Triple P International, 2005. Markie-Dadds, Carol, Turner, Karen Mary Thomas and Sanders, Matthew R. Every parent's supplementary workbook module 4: Maintenance and closure. Brisbane, QLD, Australia: Triple P International, 2005. Sanders, M. R. and Turner, K. M. T. Triple P tip sheet series for Selected Triple P. Brisbane, Qld, Australia: Triple P International, 2004. Sanders, M. R., Markie-Dadds, C. and Turner, K. Theoretical, Scientific and Clinical Foundations of the Triple P-Positive Parenting Program: A Population Approach to the Promotion of Parenting Competence. Brisbane, Qld, Australia: The Parenting and Family Support Centre, 2003. Markie-Dadds, C., Sanders, M. R. and Turner, K. Every Parent's Self-Help Workbook. Milton, QLD, Australia: Families International, 1999. Sanders, Matthew R. and Turner, Karen M. T. (2017). The international dissemination of the Triple P - Positive Parenting Program. In John R. Weisz and Alan E. Kazdin (Ed. ), Evidence-based psychotherapies for children and adolescents 3rd ed. (pp. 429-448) New York, United States: The Guildford Press. Sanders, Matthew R., Turner, Karen M. T. and McWilliam, Jenna (2016). The Triple P - Positive Parenting Program: a community-wide approach to parenting and family support. In Mark J. Van Ryzin, Karol L. Kumpfer, Gregory M. Fosco and Mark T. Greenberg (Ed. ), Family-based prevention programs for children and adolescents: theory, research, and large-scale dissemination (pp. 134-159) New York, NY, United States: Psychology Press. Sanders, Matthew R. and Turner, Karen M. T. (2015). Triple P—Positive Parenting Program. In James J. Ponzetti, Jr. (Ed. ), Evidence-based parenting education: a global perspective (pp. 225-243) New York, United States: Routledge. Sanders, Matthew R., Turner, Karen M. T. and Markie- Dadds, Carol (2007). Paediatric Psychology and the Treatment of Childhood Disorders. In Jay S. Birnbrauer and Paul R. Martin (Ed. ), Clinical Psychology: Profession and Practice in Australia (pp. 287-314) Melbourne, VIC, Australia: Macmillan Education. Sanders, Matthew R., Turner, Karen M. T. and Markie- Dadds, Carol (1996). Paediatric psychology and the treatment of childhood disorders. In Paul R. Martin and Jay S. Birnbrauer (Ed. ), (pp. 287-314) South Melbourne, Vic., Australia: Macmillan Education. Turner, K. M. T. and Sanders, M. R. (2013) Triple P Online. Brisbane, QLD, Australia, Triple P International. Turner, Karen M. T. (2011) Triple P Discussion Group Series 1: session presentations. Brisbane, QLD, Australia, Families International Pty. Ltd.. Does the Triple P-Positive Parenting Program provide value for money? Sanders, Matthew R., Tully, Lucy A., Turner, Karen M. T., Maher, Clare and McAuliffe, Christine (2003) Training GPs in parent consultation skills: an evaluation of training for the Triple P-Positive Parenting Program. Australian Family Physician, 32 9: 763-768. The Role of the Media and Primary Care in the Dissemination of Evidence-Based Parenting and Family Support Interventions. Sanders, Matthew R. and Turner, Karen M. (2002) The Role of the Media and Primary Care in the Dissemination of Evidence-Based Parenting and Family Support Interventions.. The Behavior Therapist, 25 9: 156-166. Wall, CR, Sanders, MR and Turner, KMT (1996). The eating behaviour, attitude and nutrition knowledge of mothers of children with persistent feeding difficulties. In: Proceedings of the Nutrition Society of New Zealand, Vol 21. 31st Annual Conference of the Nutrition-Society-of-New-Zealand, Dunedin New Zealand, (102-104). Aug, 1996. Turner, Karen Mary Thomas (2003). Parenting and family support in primary care setting PhD Thesis, School of Psychology, The University of Queensland.